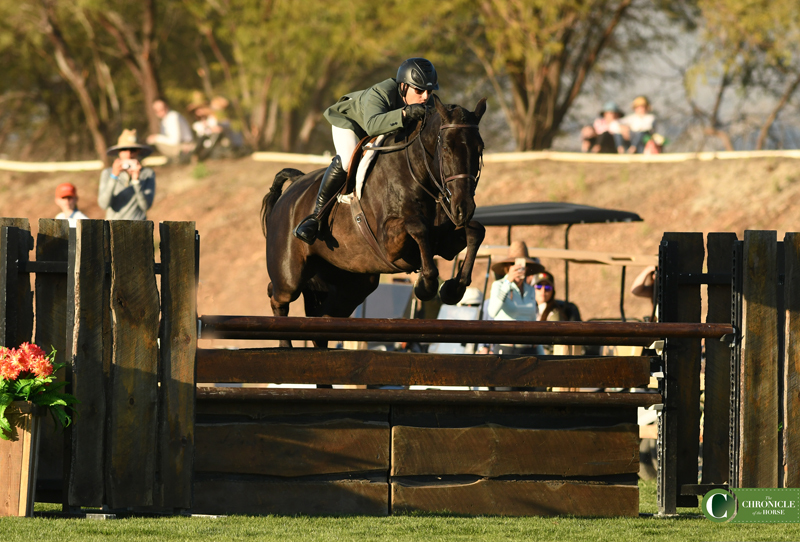 Verdict’s win in the $25,000 USHJA International Hunter Derby with Nick Haness in the irons has been a long time coming. 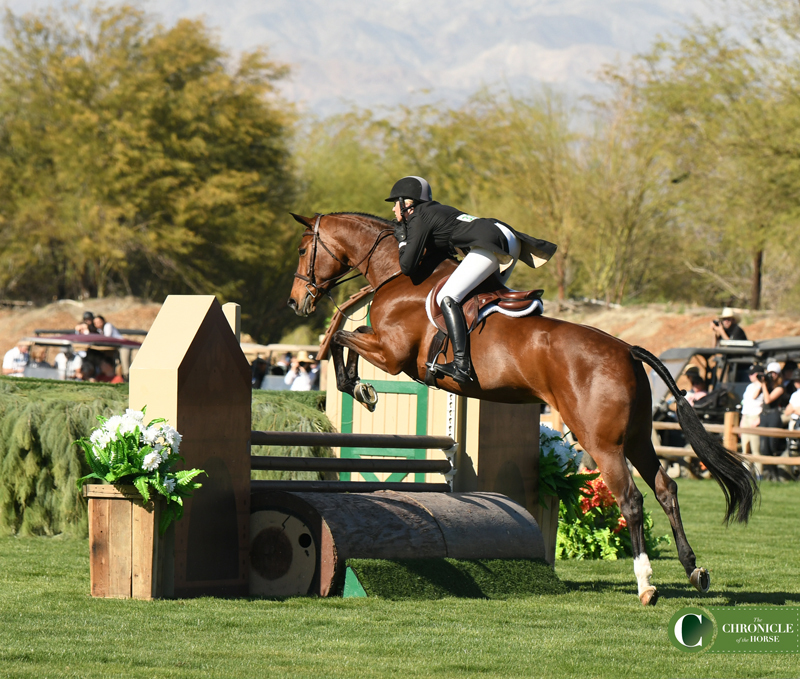 Haness catch rode the horse for his first trainer, Michael Croopnick, to the top of the leaderboard in the feature hunter class of the final week of HITS Coachella. 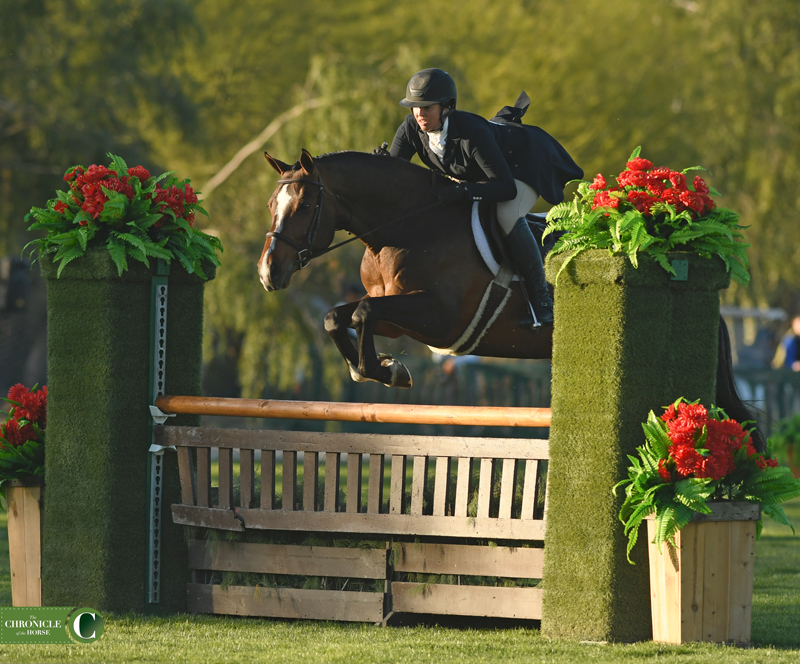 Verdict topped a competitive field to take the blue ribbon in the $25,000 USHJA International Hunter Derby. Mollie Bailey photos. Nick Haness catch rides Verdict for his first trainer, Michael Croopnick. “There’s nothing he thinks he can’t do,” said Nick Haness of Verdict. 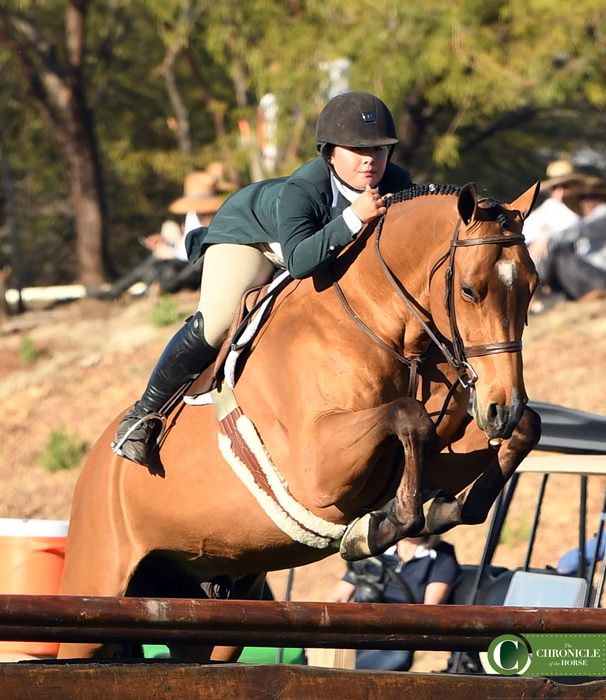 Verdict, owned by Lindsey Schiefelbein who also shows him in the amateur-owner division, beat out 33 other horses to take the title over Quarter Note and Jamie Sailor, with Vanderpump and Augusta Iwasaki claiming third. Quarter Note showed off lovely form on his way to second with Jamie Sailor up. 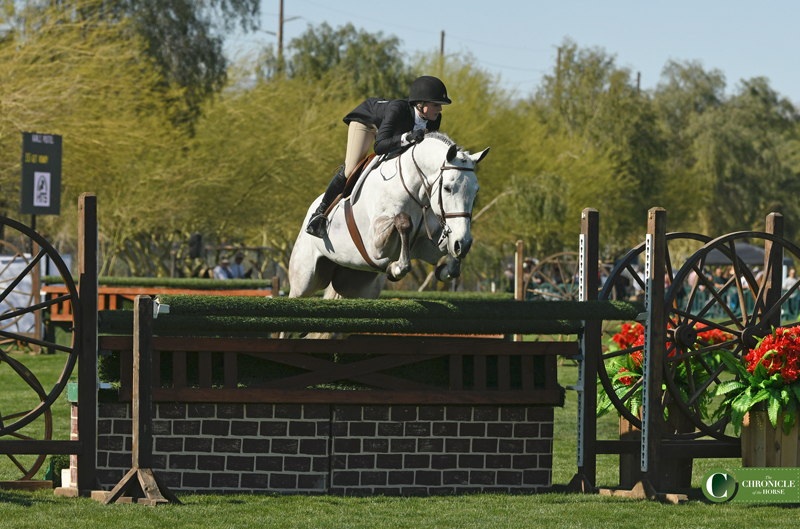 Riders faced big fences and long galloping lines out on the new grass field where the class was held. 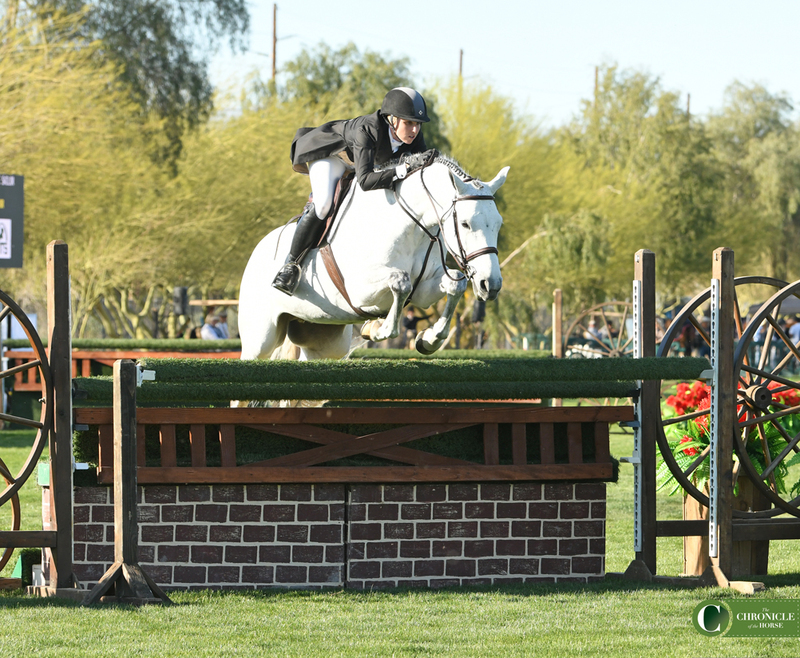 In the second round, one tough line caused plenty of problems, a six-stride bending line from a gate to a huge oxer. Junior Augusta Iwasaki guided Vanderpump to overall third. 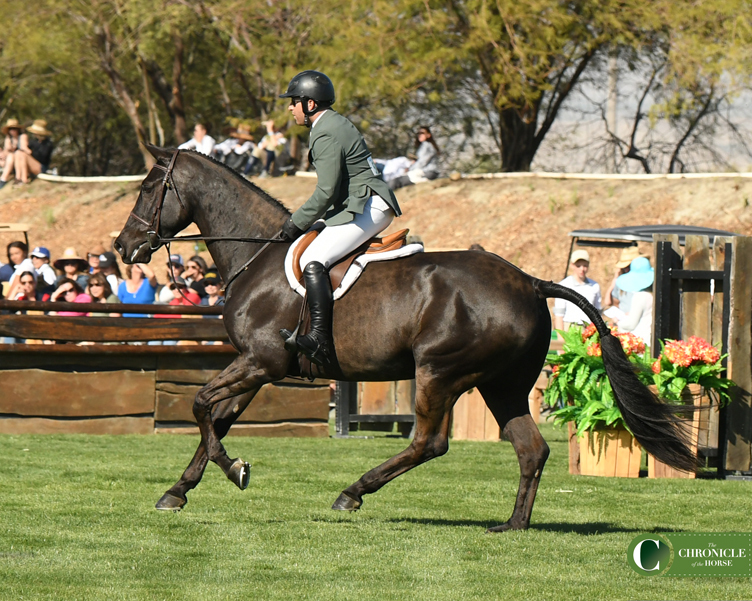 After winning the first round, in the second go Haness strategized to put in a strong but not all-out effort with Verdict, an 8-year-old warmblood (Ustinov—Lady Deister). 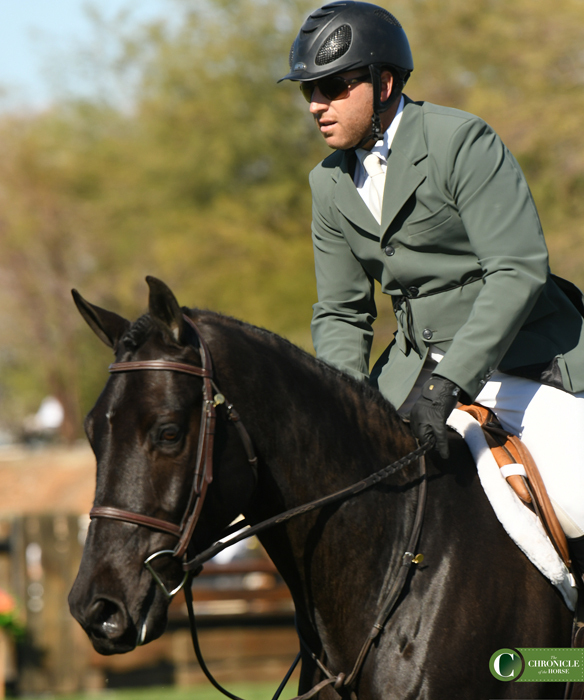 Jamie Taylor and Small Kingdom jumped to overall fourth. 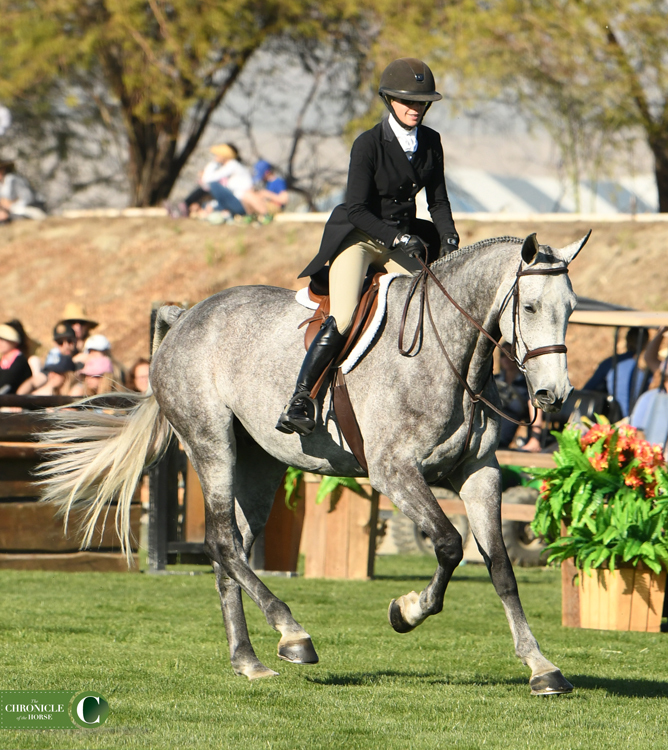 Though they’ve just contested a few derbies so far—Verdict and Haness were third during the USHJA International Hunter Derby in Thermal held week 4—they both have a goal: the Platinum Performance USHJA International Hunter Derby Championship. Jamie Sailor had two horses in the money, finishing fifth with Matador. Alexis Taylor-Silvernale rode Nostalgic to sixth. Get Rowdy and Karli Postel jumped to seventh.